Quotes said to be from Hummels father reported in Italian media. Herman Hummels has been quoted by Italian journalist Alfredo Pedulla as saying his son will definitely not transfer to the Red Devils in January but left the door open on a sensational move at the season’s end. “United? On Mats many things have been said and written. What I can say for sure is that he will not go in January,” said Hummel’s father, according to this report. The insinuation being that whilst it’s certain there is be no deal to be made in January, the fact no summer move has been explicitly ruled out, which he could have easily done, hints at an exciting move for the German defender. 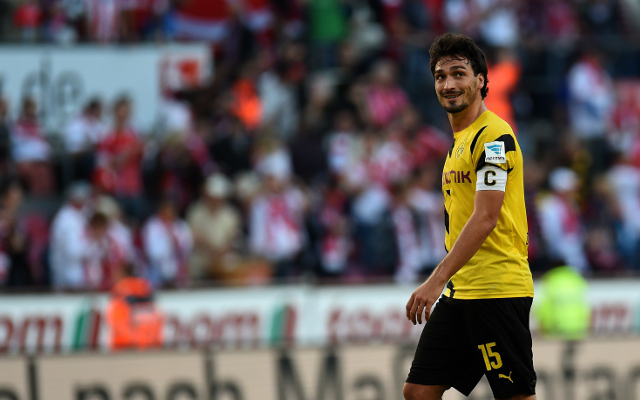 The Hummels to United transfer saga has been a long running affair with numerous reports claiming deals have been reached before. However, if these quotes are correctly reported by Italian journalist Alfredo Pedulla it could be the clearest indication yet that we’ll see the BVB centre-back in the Red of Manchester next season.